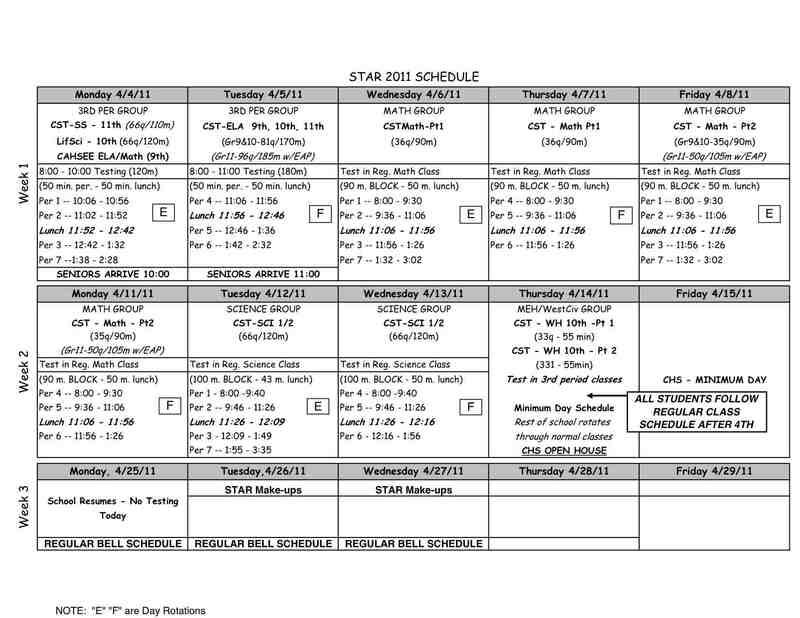 STAR testing begins on Monday, Apr. 4. All students are required to report to his or her third period class at 8:00 on Monday, Apr. 4 and Tuesday, Apr. 5 unless he or she have been notified to test in another location. All seniors must be on campus by 9:45 on Monday, Apr. 4 and by 10:45 on Tuesday, Apr. 5. All other students will test promptly at 8:00. There will not be ANY late Wednesday starts during STAR testing.